Super Stretch Font! 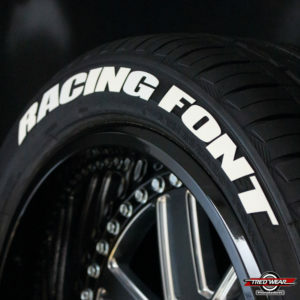 Up to 22 Characters per tire. Running low profile tires? Then you need TredWear’s Super Stretch font. 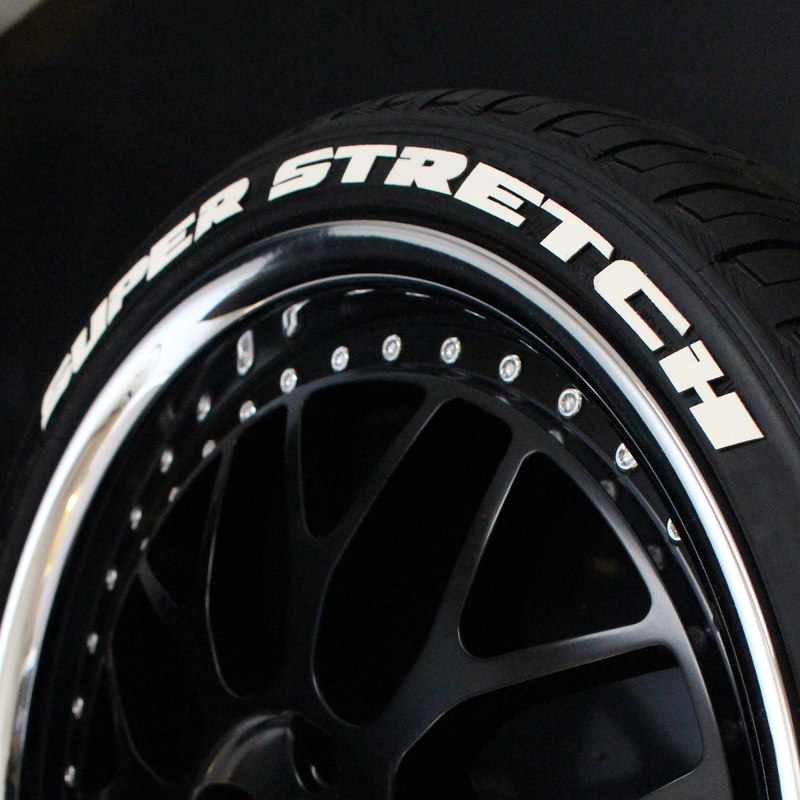 This tire kit allows you to customize any tire sidewall with your desired message. 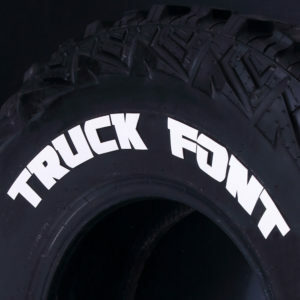 These real rubber raised white letter kits are sold per tire. 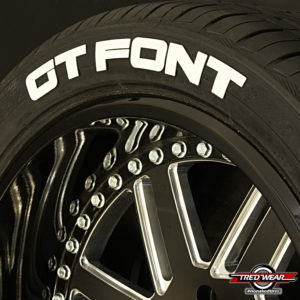 Simply type the message you desire into the box up to 22 letters per tire. 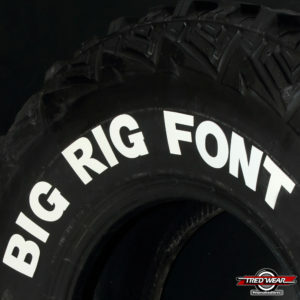 Lettering bonds instantly to any sidewall giving a factory appearance in actual raised rubber letters.